Over the past five or six years, I have made a point of contacting (usually by phone) the parents of any new class I have taken on in order to introduce myself and give an early update on how their child is getting on in my lessons. Why have I done this? For me, involving parents is one of the most powerful ways of engaging young people with their learning and furthering their motivation to achieve. 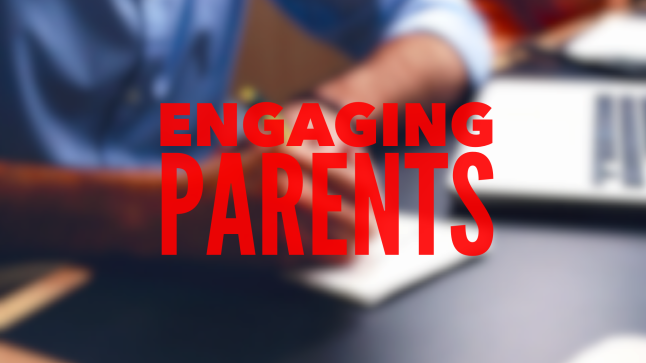 There are whole school strategies for supporting parental involvement but this post will focus on what can be done as a classroom teacher. Parental involvement in the form of ‘at-home good parenting’ has a significant positive effect on children’s achievement and adjustment even after all other factors shaping attainment have been taken out of the equation. In the primary age range the impact caused by different levels of parental involvement is much bigger than differences associated with variations in the quality of schools. The scale of the impact is evident across all social classes and all ethnic groups. (Desforges 2003). Parents seem to have a lot more regular involvement with their children’s education when they are at primary school. For various reasons this changes for many parents as their children start attending secondary school. Having more teachers responsible for their little one plays a part and for many secondary school teachers, it is unrealistic to make the time to remain in contact with the parents of EVERY student we teach. 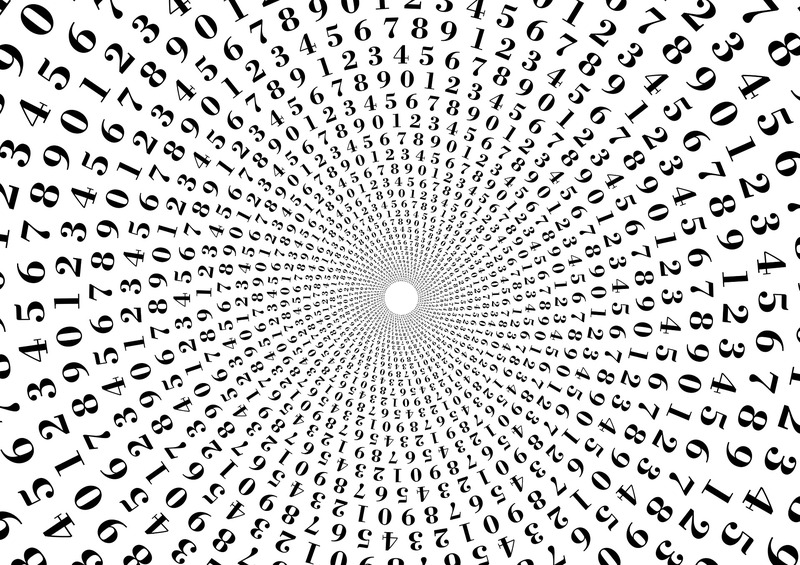 A typical teacher would probably teach around 200 to 250 students; so a 5 minute conversation by phone to each of these would take over 20 hours! With all the extra hours teachers already put into planning, preparation and marking (along with everything else! ), it is unrealistic to achieve that regularly enough for it to be useful. Many teachers will only make contact if there is a ‘problem’ i.e. if the child is missing homework deadlines, misbehaving in class or under-performing in assessments. But what about the other students? How many phone calls get made when a student has completed a good piece of homework? Or when a student is being particularly helpful in class? Or has been putting in a lot of effort in lessons? Unless we are proactive about communication, little happens other than the rushed 5 minutes we spend each year during parent consultation meetings (even then I often hear of teachers only wanting to meet parents of those students under-performing). One of the goals I set for myself this year was to try and further develop parental engagement in a positive and manageable way. A positive approach, in my opinion, leads to parents becoming much more interested and curious as to what their child is doing at school. This in turn would lead to more regular discussions taking place at home about school as well as more conversations with me, their teacher. Below I will highlight some strategies I have used which have been successful for me in the context of my school. I do believe that many of these ideas would work in most contexts. Phonecalls: This has been something I have actually been doing for a few years. Sometimes, you have to make a phone call home as a student is either displaying low-level disruptive behaviour or is consistently missing deadlines etc. I set myself a ratio of 1:3. That is that for every ‘negative’ (I’m calling it negative even though it is a positive step) phone call I make, I aim to make 3 positive phone calls. The positive phone calls usually last less than a couple of minutes each (parents are usually speechless!) and make a HUGE difference in further motivating students to put in even more effort into their work. This is particularly powerful as students will often talk about their phone calls in the next lesson and it highlights to them that you pick up on the positive things they do in class, not just the negative. Email: I compiled together all of my students parents emails (the ones that use email anyway) at the start of the year and set them up on my MS Outlook distribution list. I then BCC’d them into most of my email communication with students. This meant that homework reminders, links to revision resources and test dates were regularly communicated to parents. 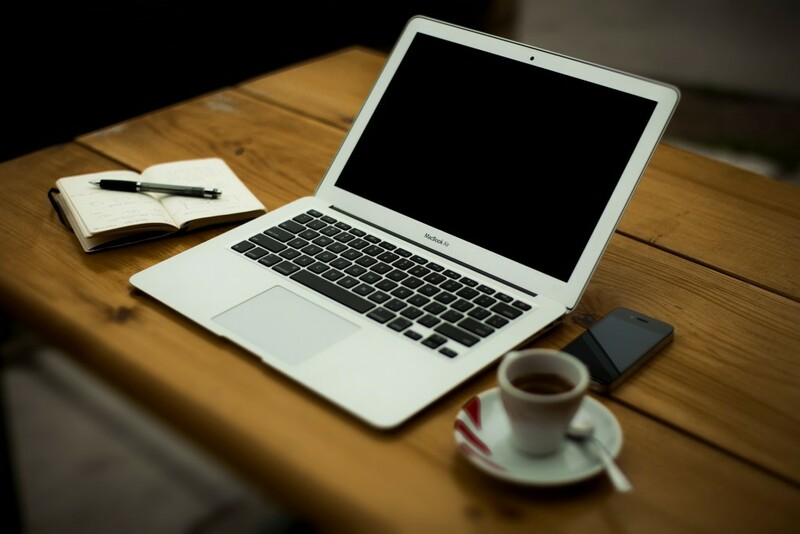 I did on occasion send group emails to parents – My calculator review email proved to be really successful and led to more of my students turning up to school with a calculator! I also, sometimes, might send them the odd cheeky maths puzzle! Newsletters: I saw one of my nephews with a newsletter for his class at primary school and I thought it would make a really nice way of sharing the positive things that happen in school that parents otherwise may not get to see or hear about. I set about writing a half-termly newsletter for my KS4 classes and included highlights and samples of students work. I also included a narrative of what the students had been working on and what they would be working on next. I print these out in colour and give to students to take home and also email them to make sure! The response to these have been incredible! My students have really valued the effort I went to for a start, and I’ve received plenty of emails from parents thanking me for keeping them informed and for this positive means of communication. Highly recommend this approach. Request a selfie: The idea is to tell students at the start of a lesson that, at the end of the lesson, they will have an opportunity to ‘request a selfie’ by drawing a camera symbol in their books. 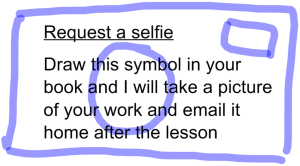 At the end of the lesson, those students who have requested a selfie, get a picture of their work taken (using iDoceo) and emailed home to their parents. Please see this post for more details on this highly effective idea. Video presentations: This is something I am hoping to explore next year. The idea is to get a class to present the terms work to parents in a short video presentation. This can include examples of their work, any displays they have created and some explanations of ideas covered; the key being to get all students involved in some way. Video could be shared via an unlisted YouTube link sent by email. I think the relationships I have built up with parents this year have been particularly strong. Some parents who otherwise might not have engaged much with their child’s learning have been regularly getting in touch asking for ideas on how they could provide further support. Parents’ evenings proved to be even more fruitful as conversations were often a continuation of previous communication. Some parents whom I thought were not engaging due to lack of response, assured me that they were talking to their child more about their school work and really appreciated the effort I had gone to. An area for me to consider further is to try and develop more ways of engaging parents who struggle with communication. 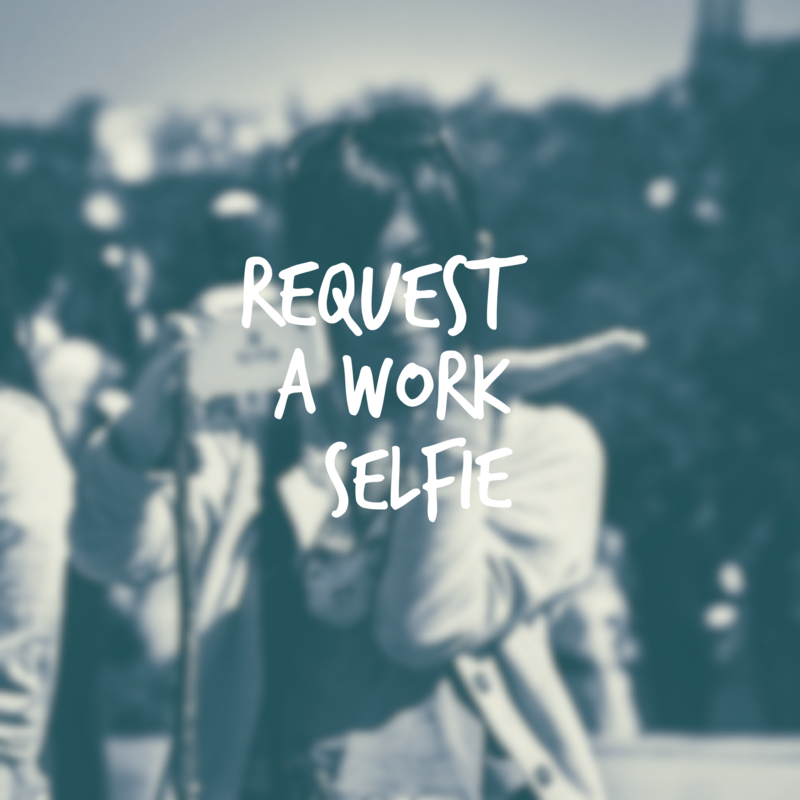 The “selfie” idea does provide a visual way of getting them to engage and the video presentations might also help. If you have any ideas on this or anything else, please share below in the comments section. Please click this Retweet button if you have found this useful and/or subscribe below. A thank you to @MathedUp for the newsletter idea, here is my first one https://t.co/9xE7onXweh. This entry was posted in Blended learning, Marking, Parents. Bookmark the permalink.